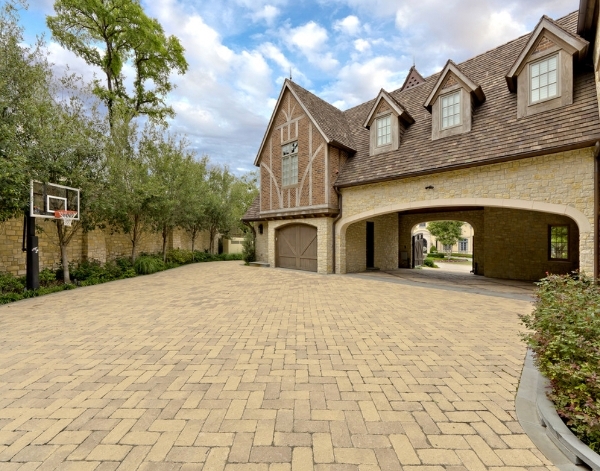 Concrete pavers, brick pavers, stone pavers, interlocking pavers and permeable pavers…there’s a reason there are so many types of driveway pavers. 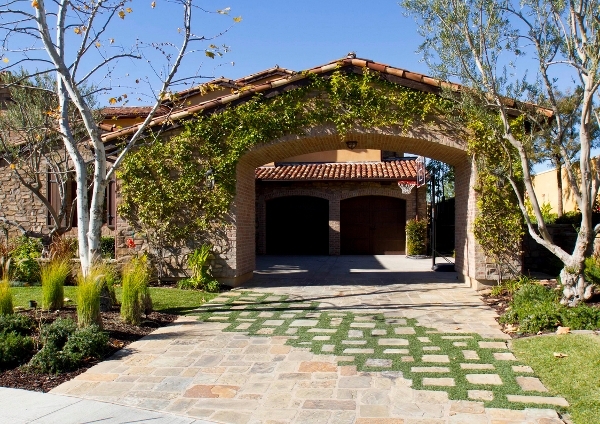 It’s safe to say that when it comes to curb appeal a paver driveway is king! It’s hard to beat their look and style and, if you can afford them, the hardest part is deciding which option to go for. 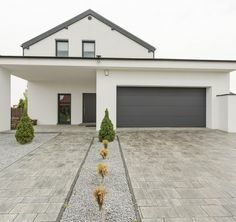 In this RenoCompare Driveway Guide we will give you a thorough overview of this popular driveway material. 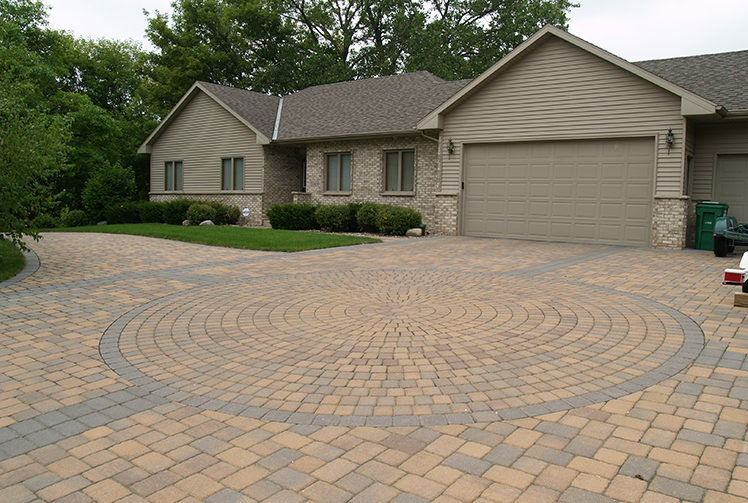 The number 1 benefit of a paver driveway is the range of choice you have when it comes to material, shapes and color. 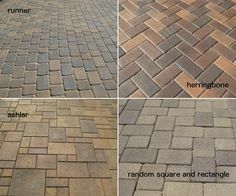 There are many, many types of paver all with their own character, so let’s look at your driveway paver options. 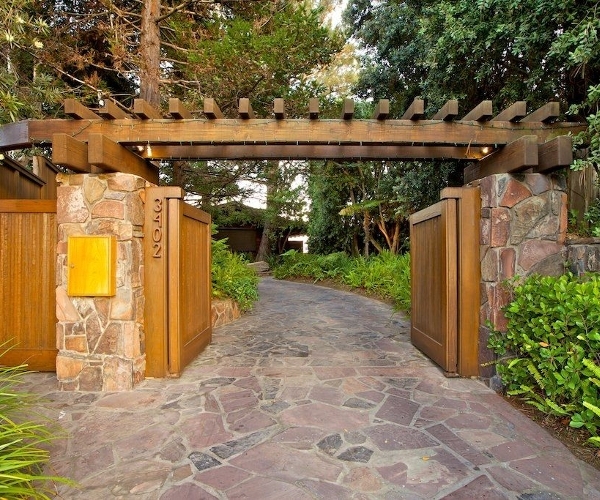 Materials: Pavers are made out of three different materials – concrete, clay and natural stone. Once you have decided which material you want you are ready to dig deeper into the options of each material. Natural Stone Driveway Pavers: If you’re looking for beauty along with durability then you can’t beat natural stone, but it comes at a price. Granite, slate, limestone and bluestone are all beautiful but the cost of quarrying, transportation and installation make them the most expensive paver option. Be aware that you can also get cheaper natural stone paver veneers (which are typically set into wet concrete), but these veneers are usually quite thin and primarily used for patios; they are rarely suitable for driveways. 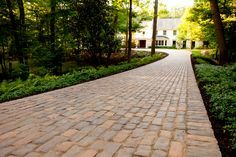 Brick Driveway Pavers: Brick pavers made from clay are not as robust as natural stone or concrete pavers, cost more than concrete and come in fewer color options. That said they have an aesthetic like no other and, unlike concrete, age well. 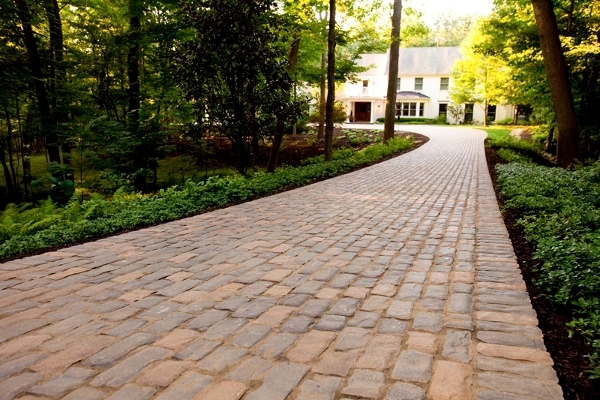 A worn and aged brick driveway has charm while an old concrete paver driveway just looks…old. 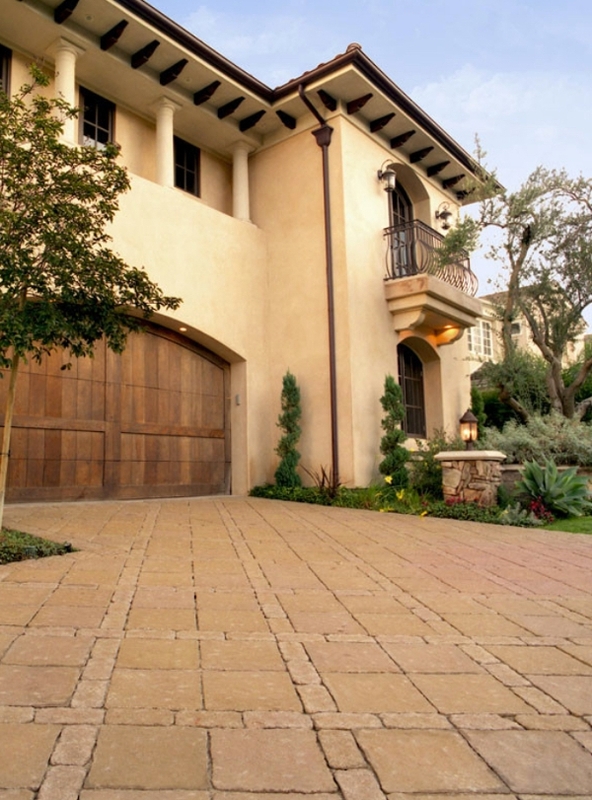 Concrete Driveway Pavers: Concrete pavers are usually less expensive compared to clay brick or stone. The choice of concrete paver options can be bewildering, and advances in manufacturing means that you can now purchase concrete pavers that even resemble brick and stone pavers. Basically, whatever style of paver you’re looking for you can probably find in concrete. But be careful to get the best quality and most durable concrete paver, as cheaper concrete pavers are prone to chipping over time which will expose the aggregate beneath. 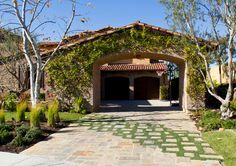 Paver Options – Shapes & Sizes: When shopping for your ideal driveway pavers there are typically two standard shapes you will come across – either square or rectangle; and the one irregular shaped flagstone paver. Some manufacturers also have irregular shaped pavers that create a circular or fan pattern when laid out. And there are now readily available two brick paver shapes: the standard rectangular brick and a modern brick that has wavy edges. On top of the basic shape of the pavers, you will also need to consider the size. Different manufacturers will offer a huge range of square and rectangular sizes, so there are not real standardized sizes in terms of width and breadth. However, what is important is that you choose pavers that are at least 2.36 inches thick to take the weight of domestic vehicles; the most common thickness is 3 inches. Paver Styles & Textures: There are basically two overarching styles of pavers – ones that look smooth and brand new, and ones that look weathered and aged. Within those two main styles, there are four subset styles: bricks, cobblestones, flagstones and mixed. Modern brick pavers have their own unique style and textures – some brick manufacturers do have bricks with slightly more textured finishes than others, but the overall style is usually smart and crisp when you install them brand-new, but they weather very beautifully. Mixed pavers refers to a mix of rectangular and square concrete pavers set in any number of patterns (see pattern section below). Flagstones are rough edged pavers that look like random shapes cut in a way that fits together, rather like a jigsaw. Cobblestones were originally actual stones of a particular size that were used to pave streets way back when horses and carriages were the main mode of transportation; as a result they tend to be used today to give a look of old world charm. Today flagstones and cobblestones can be made either in natural stone or from concrete. For the most part natural stone pavers have the inherent striated texture of the stone they are made from. Natural stone cobblestones that have been cut from quarried stone can either be clean cut with a smooth surface which makes them look quite neat; alternatively quarried cobblestones can also be made to look more aged and weathered. 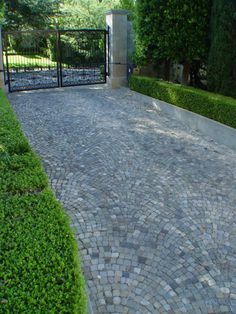 Reclaimed cobblestones from previous roads will always have a rougher, weathered look. For concrete pavers, again you can either go for an aged look or a non-aged look depending on which of these seven textured finishes you chose: smooth, non-tumbled texture; tumbled texture that make the paver look weathered; embossed texture where the surface has a dimpled effect; tumbled and embossed for an even more aged look; slate texture that resembles the striations of real slate; flagstone texture that mimics the rough cut style of stone flagstones; and old world cobblestone texture that replicates the look of aged cobbles. 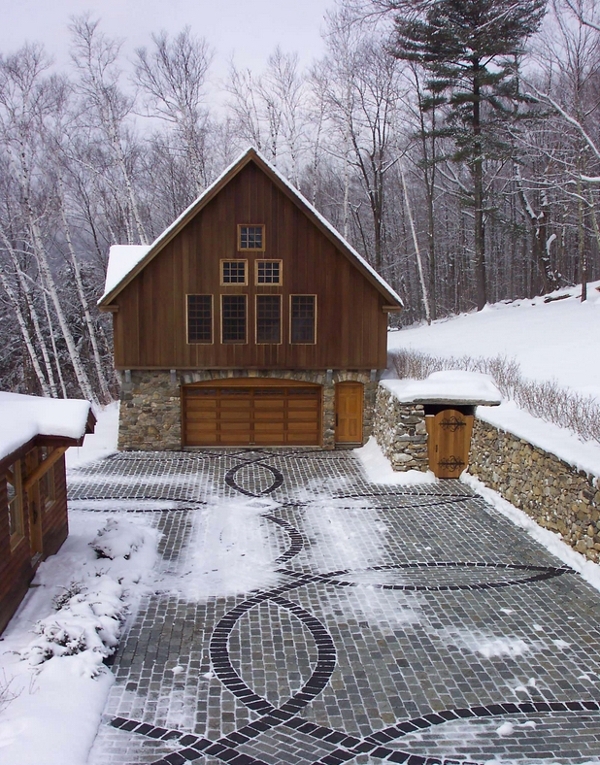 Paver Designs & Patterns: As well as considering the style and texture of each type of paver, you will also need to think about the design and pattern of your driveway layout. Using a combination of pavers in different shapes, sizes, styles, textures and colors will allow you to create any number of interesting patterns and designs. 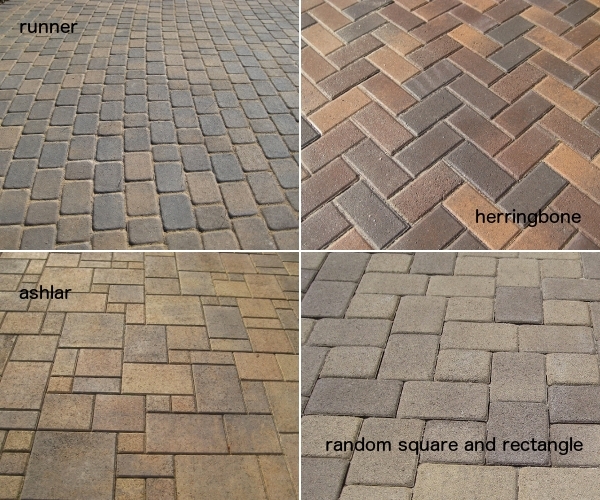 Some common paver layouts however include: the runner pattern, the herringbone pattern, the ashlar pattern and the basketweave pattern. 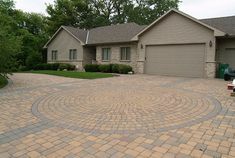 You can also use different types of paver to create a border for your driveway, or to divide it into different sections. And as pavers for your driveway are usually set onto a sand or gravel base, you can also make use of the material that you choose to fill the gaps between the pavers to enhance the overall design or pattern. 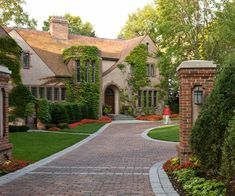 Brick pavers also come in a quite unexpected range of colors, from yellows and tans, through to terracotta reds, medium browns, blue-brown mixes and even gray toned brick. Some manufacturers also offer selections where the color tones are mixed, giving an attractive mottled look when the pavers are laid. Pavers are the most popular choice for driveways and we think the positives definitely outweigh the negatives. 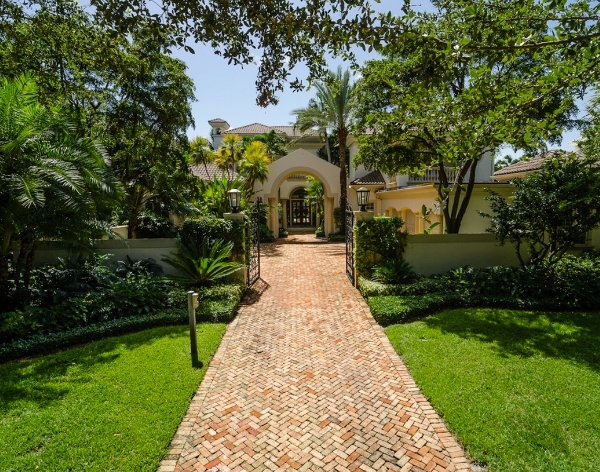 Let’s take a quick look at the pros and cons of a paver driveway. Variety – Pavers come in different shapes, patterns, colors and, of course, different materials (see above) allowing homeowners to match the style of their driveway with the style of their home. 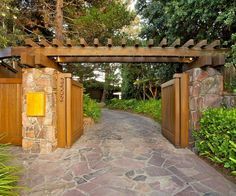 Possibility of DIY – Although we wouldn’t recommend installing your own paver driveway it is certainly more realistic than installing concrete or asphalt and would save a considerable sum of money if you have the required skillsets. Good to Go – Concrete and asphalt driveways require a period of curing before they are ready to use. 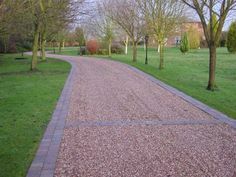 Once pavers are installed you can start using your driveway straight away. Drainage – When you install permeable/porous pavers, that is to say pavers with joints (gaps) between them you allow for water drainage. Concrete and asphalt don’t allow for this type of drainage and therefore usually require the installation of drains. Note: Polymeric sand can be used to fill the gaps between pavers and deter weeds but is a little less permeable than regular sand. Skid resistant – Well if not completely resistant then they at least offer a tougher, ice free surface compared to a completely flat, shiny/slick surface. Warranty – The reliable durability of driveway pavers means materials and installation often come with lifetime warranties. Easy Repair – In the event that you do need to make a repair then, replacing a few pavers is much simpler and cheaper than replacing a section of concrete or asphalt. Cost – To be clear, a paver driveway is the most expensive type of driveway to install but it has a far longer lifespan and is low maintenance. So if you can afford the upfront costs (see below) then, in the long-term, pavers are a wise investment. Cost – Yes, as we’ve just said installing pavers in your driveway is an expensive option in the short term. The installation process is labor intensive and depending on the type of paver you choose material costs can be very high too (granite cobblestones, for example, are very expensive). Shifting/settling – Movement in the ground below your pavers could be a problem but only in cases of bad installation. Correct preparation of the driveway bed/base should prevent future subsidence. Cleaning – If you live in an area with lots of snow or you foresee having to clear up lots of debris on a regular basis then just be aware that pavers can be harder work to clear as they do not have a completely flat surface. We’ve already touched on the main benefits of pavers for driveways. Now let’s compare some of these features against poured concrete driveways. Appearance: A plain concrete driveway can be the perfect accompaniment to some homes and with stamped concrete, acid stains, dyes and cutting patterns into concrete there are a number of ways to make poured concrete more visually appealing. 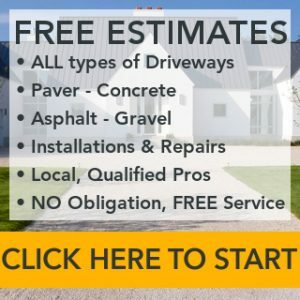 Nevertheless, as you have read in our paver options section above, aesthetically pavers win if you’re looking to create a unique driveway that really adds some character to your exterior home design. Cost: If you compare the price of concrete paver vs poured concrete unsurprisingly you won’t see much difference in cost for the actual materials. However laying pavers is much more labor intensive and therefore installation costs will be significantly more than poured concrete unless you plan on doing the work yourself. And remember concrete pavers are the cheapest type of paver to buy – brick and natural stone pavers are more expensive than concrete. Durability: If durability and ongoing maintenance costs are your main criteria then typically choosing a paver driveway is the right choice over the long term. That’s not to say concrete is a weak choice, far from it. Poured concrete is more prone to cracking over time and this can be exacerbated by extreme temperatures and shifting/subsiding soil. But high quality installation of concrete can significantly reduce chances of cracking. Control joints, the right thickness of concrete, steel reinforcement and the correct compacting of the sub soil are all steps that can be taken to increase the lifespan of your concrete driveway. Repair: When it comes to repairing a driveway there is a clear-cut difference between concrete driveways vs paver driveways. Should you encounter an oil stain on your driveway or, more seriously, an area of your driveway has settled, then repairing the affected area is going to be easier and less noticeable with a driveway made from pavers. Knowing the basic steps of driveway paver installation will assist you in discussing the project with contractors when you get estimates. As touched on previously, paver driveways are low maintenance. Sweep and hose down your pavers regularly and remove any weeds/grass that might appear between pavers. Subsidence or tree roots might create problems for your driveway but removing pavers from the affected area, fixing the problem and re-installing the pavers is a fairly straightforward task. The ballpark cost of buying and installing driveway pavers is $12 – $14 per square foot. 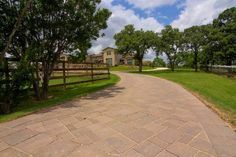 However with so many different paver options and installation considerations you need to drill down into much more detail if you want to calculate an accurate estimate of the cost for your specific paver driveway. 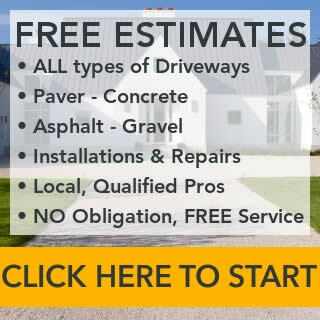 Therefore please read our paver driveway cost page before consulting the professionals. Here are some more driveway paving patterns and layouts for further inspiration and scroll to the bottom to view and visit our Pinterest Driveway page for even more ideas.